After our late introduction to the amazing Apestaartje label last week with the massive Mountains set - this week we introduce two further catalogue gems from late 2004. 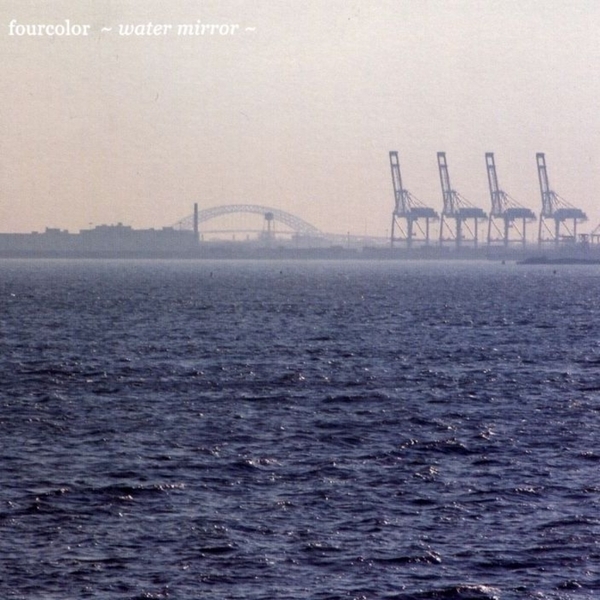 Fourcolor is Keiichi Sugimoto, a member of electro-improv quartet Minamo who like Fourcolor have since had material released on 12k plus he is also 50% of Fonica who's 'Ripple' for Plop/Tomlab was a 2002 highlight. Somehow he also finds the time to run esteemed Japanese minimal label Cubic Music. 'Water Mirror' continues the theme of guitar drone experimentalism focused on by artists such as Oren Ambarchi, Akira Rabelais and Keith Fullerton Whitman in recent times. 'Dip' feels a little like a Steve Reich update, like a stripdown of 'Electric Counterpoint'. 'Fount' is a gorgeous variation on the cloudscape drift studies I associate with Keith Fullerton Whitman's 'Playthroughs' album, an amazing track. 'Soaking' does for your ears what sinking into a deep bath of water does for your joints after a hard day's work or play. 'Snow Soup' offers warm tones and deep bass-scape bleep pulses, tune! The final epic twenty four minute 'Steam' is a soundtrack to the short film 'Frontire' by Japanese experimental filmmaker Jun Miyazaki. Spacious on/off pulses with steam bursts, twinking light refractions, high tension guitar plucks with children playing plus bassy droplets - an amazing piece. Seascape meets industrialism artwork equals 'Water Mirror'. A very high recommendation.